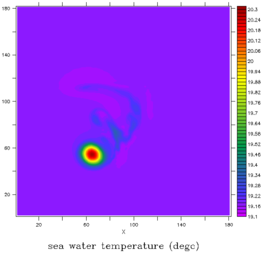 SYMPHONIE model provides several test cases that have been jointly developped within the COMODO comunity. 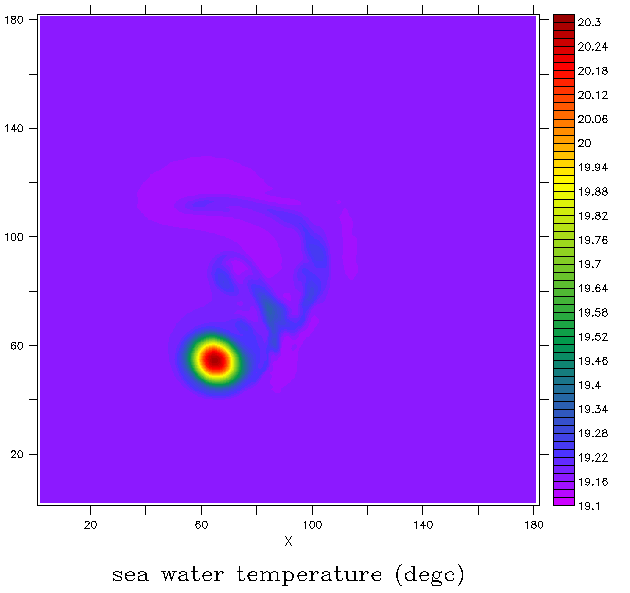 These test cases are intended to demonstrate the ability of the SYMPHONIE code to reaslitically simulate different physical processes in oceanography. They also provide an easy first step for new users to start handling the tool. 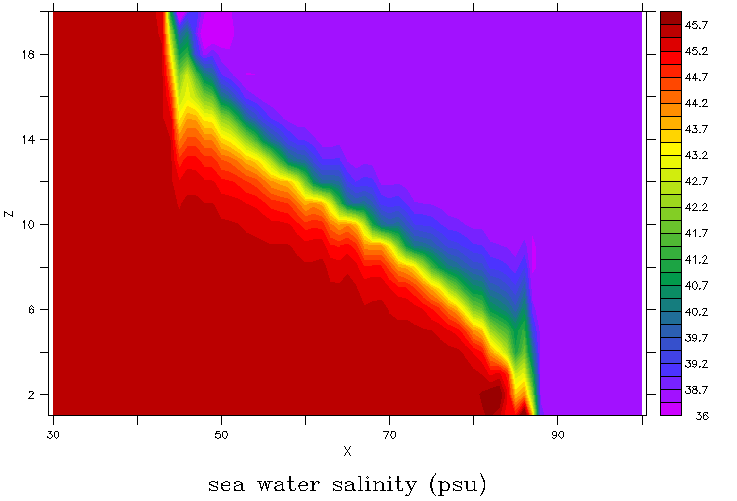 This test case is described in a closed area, with two layers of fluid at rest, with different densities, separated by a vertical wall. At the initial moment, thewall is removed and the system evolves under the action of gravity only. It does not consider any Coriolis force, friction at the bottom or mixing processes ….